Discussion in 'SWNN News Feed' started by SWNN Probe, Jan 10, 2019. <li style='font-weight: 400;']Will Bodhi Rook appear as an Imperial pilot in the Cassian Andor series? <li style='font-weight: 400;']Will the World Between Worlds ever be seen in a Star Wars film? <li style='font-weight: 400;']Will Star Wars ever destroy the Millennium Falcon?! <li style='font-weight: 400;']Will Thrawn be killed off in the inevitable Rebels finale follow up, whenever that may be? <li style='font-weight: 400;']Will a standalone Vader film ever be made by Lucasfilm? <li style='font-weight: 400;']Will Star Wars: Episode IX beat Avengers: Endgame in domestic box office total? Our podcast episodes are free as always but if you'd like access to more exclusive content and rewards and support the show and crew you can sign up for our Patreon page! Starting with tiers as low as just 2 dollars a month, you gain access to all of our additional content, videos, commentaries, giveaways, polls, and a lot of fun daily rewards, perks, and other fun stuff! Simply click HERE and take a look at the options! We appreciate any and all support. Thank you! Pick up some of our awesome designs on a shirt, coffee mug, tank top, sticker, hoodie, pillow, anything! 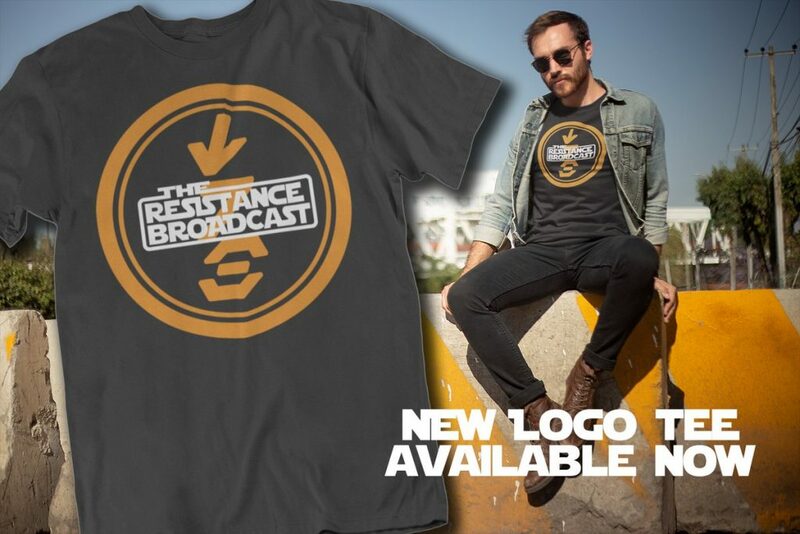 Simply go to our Resistance Broadcast store on TeePublic - check out our 40+ different design and pick what you like, like our brand new aurubesh backed logo below! You can head right to the store by clicking on the image below! Thanks for the support and enjoy the swag!!! We pitch a situation to you, and you fire away! 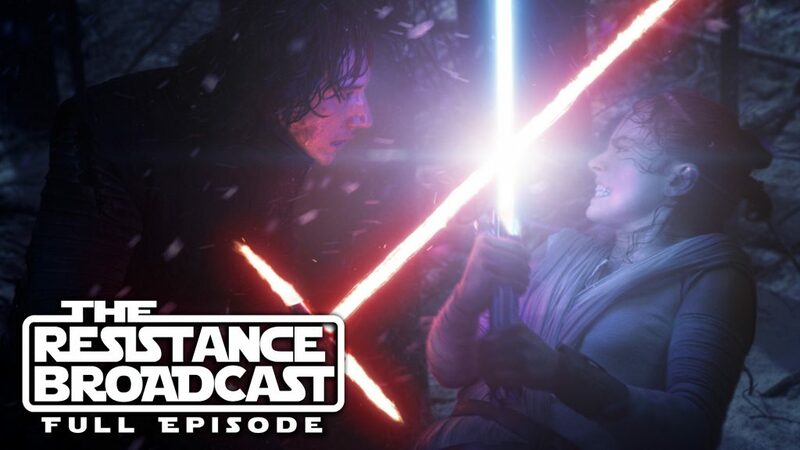 Did yours make it on this week's Resistance Transmissions? Listen and find out, and follow us on Twitter @RBatSWNN! Great episode. Hopefully it's three times, non fighting scenes.